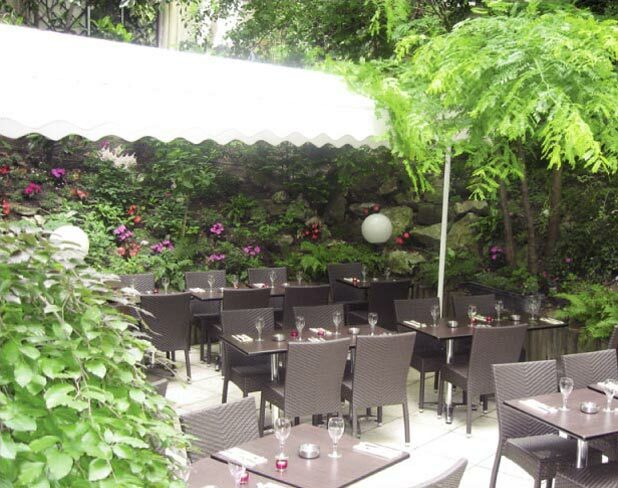 Outdoor restaurant near Montmartre! we still have sunny days in Paris in October! I was there for lunch two weeks ago. 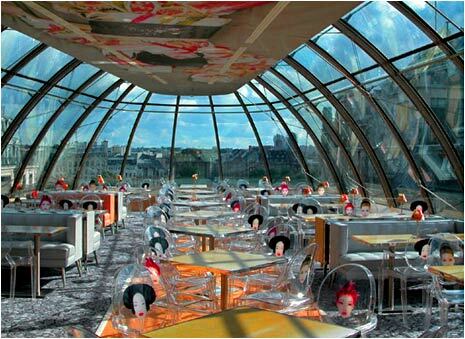 This is the fashion restaurant of the Hotel Amour designed by philippe starck. Lovely place and nice food. One of the the oldest spots on the Place du Tertre that has not had a change of owner for several decades. You will not find it in any tourist guide which is hard to believe considering that it is located in one of the most visited tourist attractions. The cuisine is traditional and the menu has hardly changed over the years and if you like it the meat will please you. On nice days you can go into the garden and you will be transported away from Paris and especially from the busy Place du Tertre. In the afternoon they serve tea and pastries. Le Vieux Chalet is closed on Monday. They do not accept credit card. My recommendation: please, do not go there if you are in a hurry. Ultramodern, on the last two floors of Kenzo’s main office, in front of the Pont Neuf of the 1st district, a fun and trendy restaurant in the sky with a view of the Seine. Halfway between Paris and Tokyo, you’ll be surrounded by Louis XV armchairs, plasma screens, a fluorescent staircase and a carpet of pebbles. 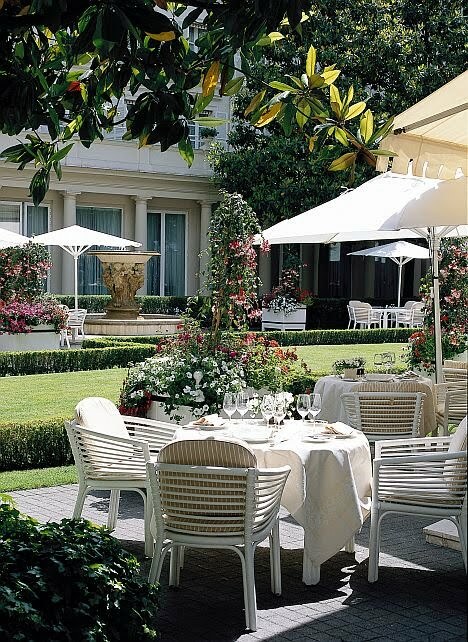 It is very Parisian, luxurious and accessible at the same time to all. 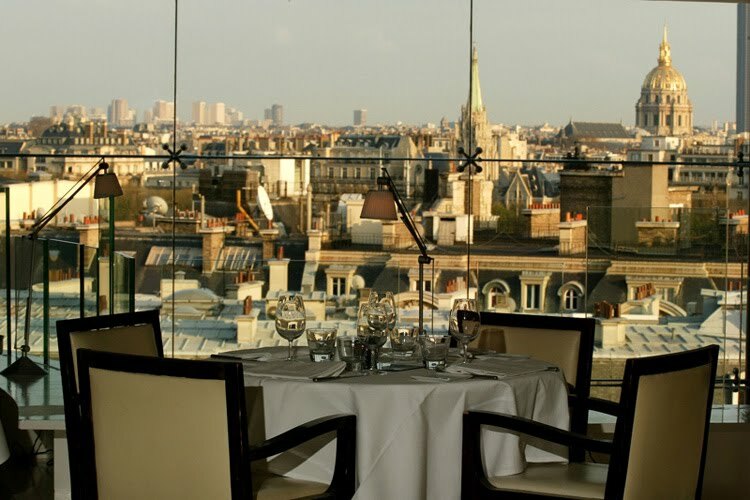 Situated above the Théâtre des Champs Elysées, on the prestigious avenue Montaigne in the 8th district, the Maison Blanche restaurant offers a fabulous view over the west area of Paris. 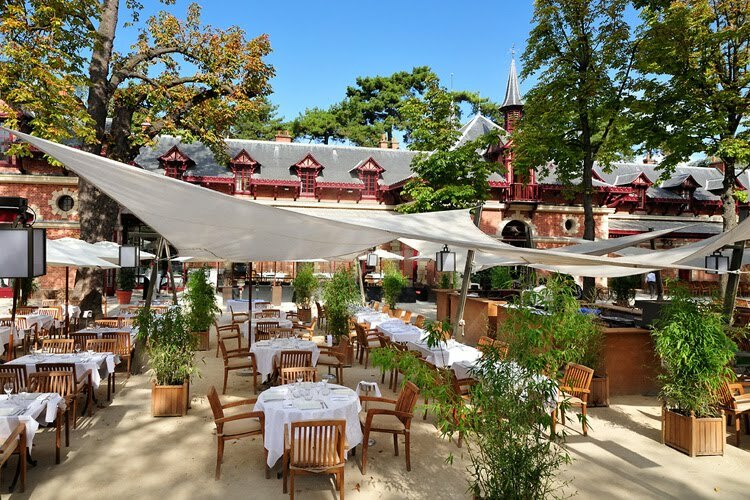 You will be able to find there an ambitious inventive French cuisine….so unique. In the heart of the Faubourg Saint-Honoré quarter of the 8th district, in one of the capital’s most prestigious palaces, ‘Le Bristol’ restaurant combines elegance and refinement. 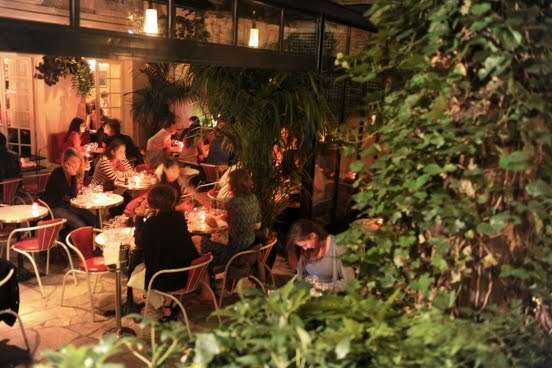 Situated in the 16th district, in the heart of one of Paris’s most beautiful gardens, savour the chef’s excellent and down-to-earth tranditional cuisine! Service is prompt without being rushed. Take a deep breath, Paris has just taken on a country air! 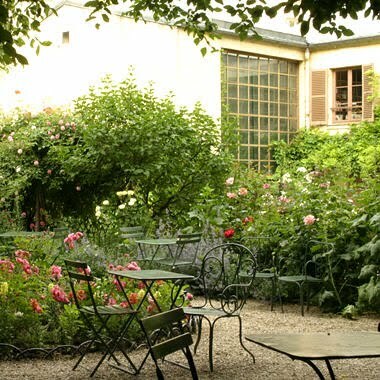 “Le Musée de la vie Romantique” is located in the previous private hotel of the famous painter Ary Scheffer where a little garden as well as a tea room are hidden. In Summer, the terrace is open and people come and enjoy some teas and cakes made by Les Cakes de Bertrand. This delightful, romantic, ravishing small restaurant is set in a side street just a few steps from St Sulpice (You’ve read The DaVinci Code, haven’t you?) in the arty neighbourhood of St Germain. Recently renovated, it is now decorated in shades of bright yellow and blood red, but it is the all-season terrace, with its awnings and charming fountain, that really make La Petite Cour irresistible. That and the high-quality modern French cooking! 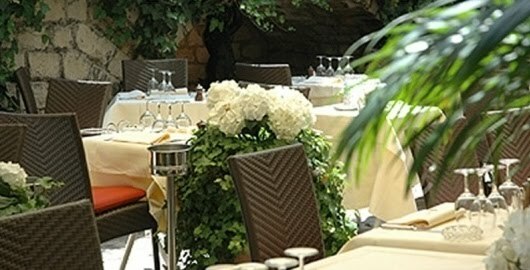 A magnificent Lebanese restaurant which offers an unique view over Paris sublimating your dishes…with a magical little garden!